The second anchor has 15 meters of chain plus 60 meters warp. When you first enter the yacht, she feels warm, spacious and light. The saloon and galley are nearby and easy to move around. She has 4 cabins, (three are double berth) it berths 10 passengers, very suitable for two families. The boat is registered as a charter boat but she is mainly used by the owner's family and during yacht races by the yacht club committees. 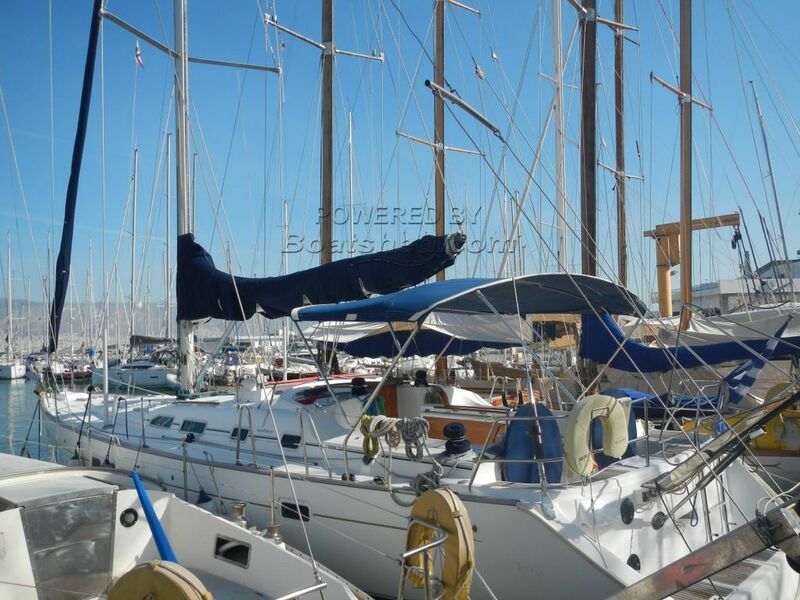 The owner is now selling her, because he is looking for a racing sailing yacht to participate in racing and to support his racing team/crew. This Beneteau Oceanis 473 has been personally photographed and viewed by Costa Jbeily of Boatshed Greece. Click here for contact details.